The challenge right meow is…. | MEOW hear this! The challenge right meow is…. 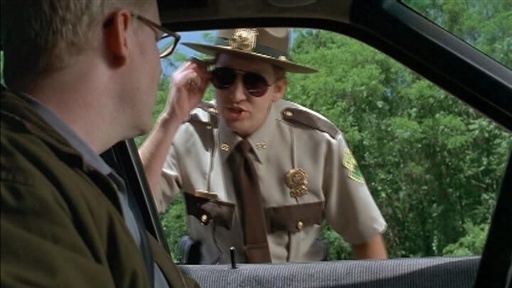 Super Troopers is one of my all-time favorite movies. As hard as this is to believe, one of my favorite scenes is cat-related. And involves Jim Gaffigan. I love him. even though he loves bacon. Read on. I am attempting a blog challenge (please click here to learn more and read her blog, it’s awesome) from my friend Tabi, who has been doing this much longer than me and has a lovely blog about her human children and being a mom. She actually makes it sound fun! Obviously our blogs have tons in common, with me writing about my dedication to my own children. Except I doubt that “stay-at-home-kitty-mommy” would fly as a full-time job. There’s a lot of cleaning involved with my furballs but they sleep most of the day. Anyway, to tie these things both together in a super clever and maaaaaybe WAY out there way, I am doing “what’s the word june” day #1 in style. Yeah, that’s right. I just did that. Booyah! 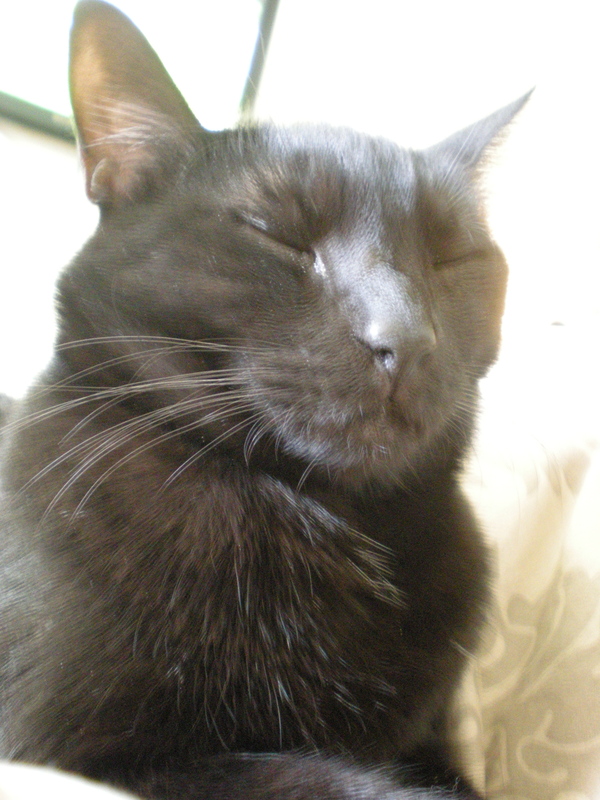 Sometimes I think he thinks if he closes his eyes I’ll just go away. Cats’ sixth sense: camera detection. Cats and frogs and lizards, oh my.